I used a Fuji XE 1 with a Fuji 18 55mm lens. The photo was enhanced on a LG tablet and in Elements. 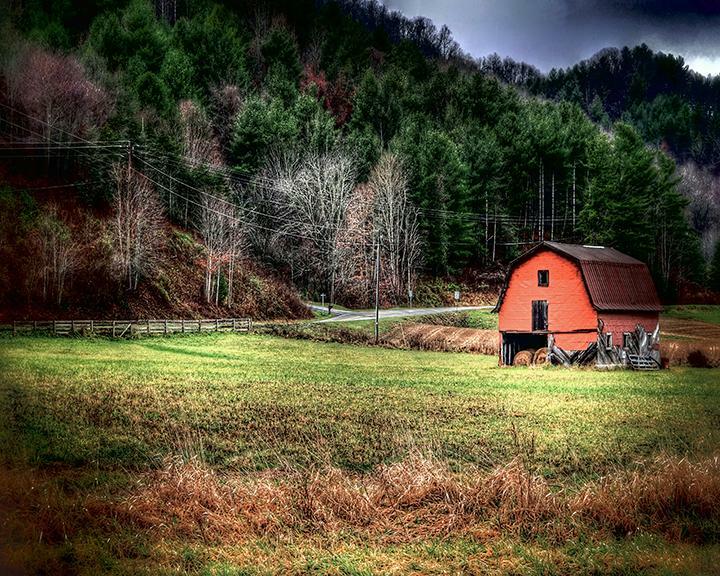 The bleakness of late fall in the mountains against the contrast of a red barn and a green field.